Washington, DC–Lab-based mimicry allowed an international team of physicists including Carnegie's Alexander Goncharov to probe hydrogen under the conditions found in the interiors of giant planets–where experts believe it gets squeezed until it becomes a liquid metal, capable of conducting electricity. Their work is published in Science. Hydrogen is the most-abundant element in the universe and the simplest–comprised of only one proton and one electron in each atom. But that simplicity is deceptive, because there is still so much to learn about it, including its behavior under conditions not found on Earth. For example, although hydrogen on the surface of giant planets, like our Solar System's Jupiter and Saturn, is a gas, just like it is on our own planet, deep inside these giant planetary interiors, scientists believe it becomes a metallic liquid. 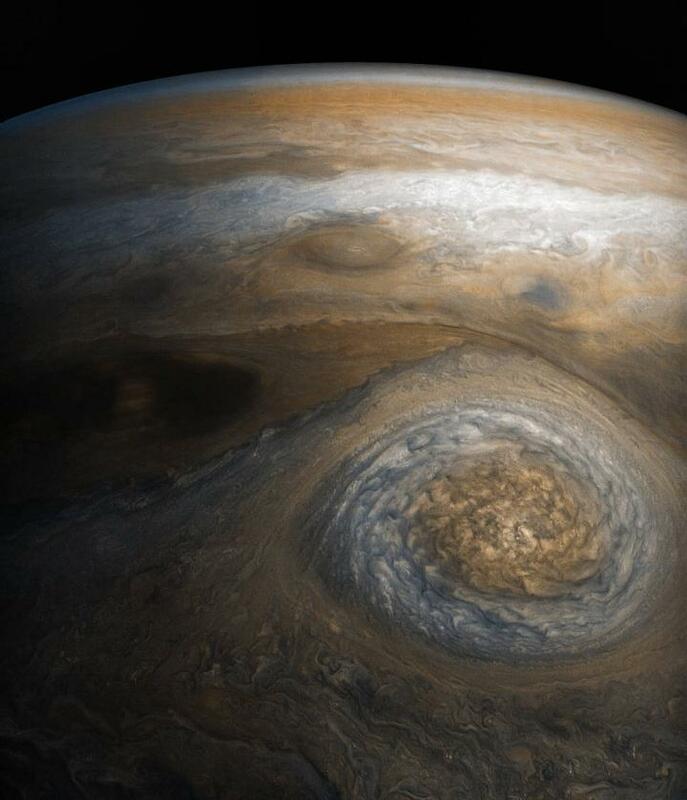 "This transformation has been a longstanding focus of attention in physics and planetary science," said lead author Peter Celliers of Lawrence Livermore National Laboratory. They studied how deuterium's ability to absorb or reflect light changed under up to nearly six million times normal atmospheric pressure (600 gigapascals) and at temperatures less than 1,700 degrees Celsius (about 3,140 degrees Fahrenheit). Reflectivity can indicate that a material is metallic. They found that under about 1.5 million times normal atmospheric pressure (150 gigapascals) the deuterium switched from transparent to opaque–absorbing the light instead of allowing it to pass through. But a transition to metal-like reflectivity started at nearly 2 million times normal atmospheric pressure (200 gigapascals). "To build better models of potential exoplanetary architecture, this transition between gas and metallic liquid hydrogen must be demonstrated and understood," Goncharov explained. "Which is why we focused on pinpointing the onset of reflectivity in compressed deuterium, moving us closer to a complete vision of this important process." The research team included: Marius Millot, Dayne Fratanduono, Jon Eggert, J. Luc Peterson, Nathan Meezan, and Sebastien Le Pape of Lawrence Livermore National Laboratories; Stephanie Brygoo and Paul Loubeyre of the French Alternative Energies and Atomic Energy Commission's Division of Military Applications; R. Stewart McWilliams of University of Edinburgh; J. Ryan Rygg and Gilbert Collins of University of Rochester (both also of LLNL); Raymond Jeanloz of University of California Berkeley; and Russell Hemley of George Washington University.